Maximize your event with a Live Show that transports your guests to La La Land! Music Makes the Difference! 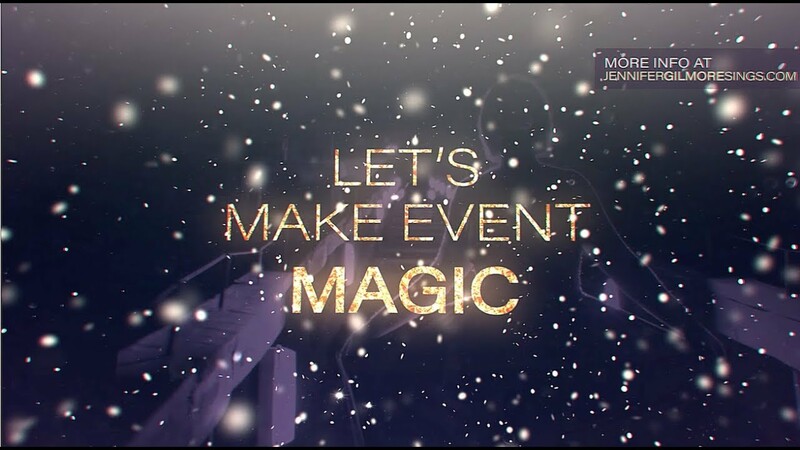 Let me show you how to make your event Extraordinary! Jennifer Gilmore is an amazing performer. She can really get the crowd up and dancing. I highly recommend her. You have your talented acts during the year, and then you have those talented acts that are truly wonderful as people and entertainers. Jennifer is amazing at reading her audience, she is humble, friendly, and gets the crowd going no matter what the challenge is. What a gift she shares with us; and I am so grateful to have found her. Awww Jeanne, that is so sweet. I loved every minute of it!! We hired Jennifer for a Christmas show. Amazing Voice! One lady afterwards grabbed my hand with both her arms and with tears in her eyes said "Thank You." If you hire her for Christmas make sure you get her to perform "Santa Baby" . I was worried the baby boomers would find her voice too Broadway but I was wrong. I want to get her back soon to do her "Dynamic Diva's Show" or for a dance. Such a truly amazing voice!! Thank You Jennifer. Thank you Jennifer for your wonderful performances. The residents are engaged and look forward to your return. You have been such a pleasant and professional entertainer and we are grateful for all you do. Thank you Raquel! Always a pleasure! Our community books Jennifer Gilmore several times per year to sing for different functions and events. Her professionalism and beautiful voice always provides us with tremendous entertainment value. She is personable and engages the audience. We are always happy and never disappointed when Jennifer is with us. In fact, we play her CD throughout our building's system. Kim you are so kind. I LOVE you all as well. Jennifer performs for our assisted living facility often and residents and staff just love her. She is positive, funny, has a beautiful voice and she is always arrives promptly on time. You are missing out if you don't have an opportunity to see Jennifer perform! Thank you so much Suzie! It is always my pleasure!! Jennifer is a professional! She performs a nice variety of songs, is punctual, and the audience loved her! Jennifer performed for my father's birthday. Now, he turned 102 so think about the songs that he loves, Jennifer performed them so beautifully he was singing along and even dancing ( with assistance). All in attendance (40+) were dancing and singing along because she managed to sing songs that touched everyone no matter their age. Her repertoire is so varied and her voice so pure that she would be the highlight of any party and I certainly look forward to hosting another party just to have her perform! Thank you Joan! What a joy to celebrate such a milestone! Jennifer is a spectacular entertainer and she knows how to entertain. From fun and light hearted to songs that give you goose bumps and melt your heart, she's got something for everyone. You won't regret booking with Golden Note Entertainment! As an audience member or client you can expect to meet a quality, professional singer who will amaze and delight you with her professionalism, class, range and versatility. Singing everything from Jazz, Pop, Country, Rock and Classical, you will love every note you hear. 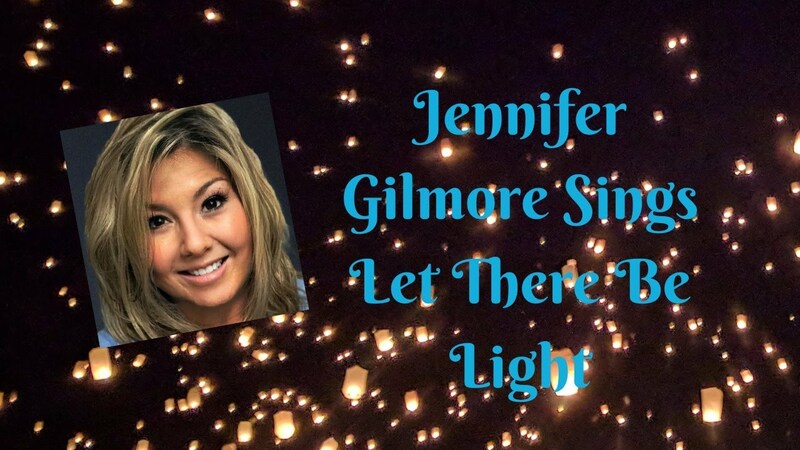 "Amazing voice", "Amazing Personality", "Audience Interaction", "Encore, Encore, Encore" are just some of the things you will hear at each Jennifer "Golden Note" Gilmore Concert or Event. 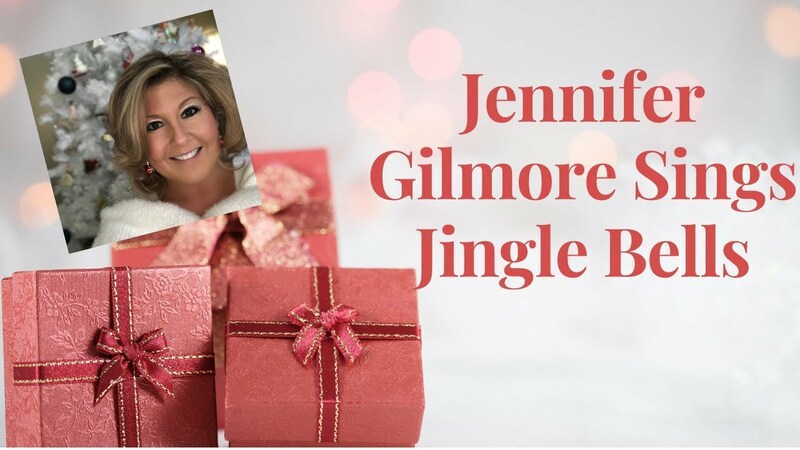 With over 20 years of experience as an entertainer Jennifer "Golden Note" Gilmore knows how to engage an audience with her voice and her charisma. Singing everything from the 1920's to Today's top 40, whatever your listening ear wants, you will hear with Jennifer "Golden Note" Gilmore. She personally tailors the music to your event. Believing that Music Makes the Difference, Jennifer strives to create an atmosphere that your guests will love and appreciate, taking requests and gauging the crowd for their likes and dislikes. Known throughout her home state of Florida as “Golden Note”, Jennifer Gilmore is a living, breathing testimony to the truth that drives her extraordinary career – her belief that music makes the difference. A dynamic vocal powerhouse, her stylistic diversity, easy charm and soulful charisma has conquered the hearts of music fans of all ages. In addition to hundreds of live performances in a wide variety of venues and settings – including restaurants, clubs, festivals, conferences, corporate events, weddings, receptions and galas - her ever-expanding resume of accolades includes the impressive “3rd Round Finalist for the TV show “X Factor”. In sheer numbers, this means that out of 8,000 who auditioned in Miami, she made it to the final 100 – the last round before the singers we see on TV. Developing an artistry that goes beyond her long-held status as “great vocalist”, Jennifer has created several live shows centered on specific concepts. These include, “I Did it....BROADWAY!”, “Dynamic Divas”,“Timeless Hits”, "Holiday Extravaganza" and "A Patriotic Tribute to America". Jennifer complements her vast repertoire of songs with personal stories of what they mean to her as well as fun and playful banter with her audiences. The budding success of Dynamic Divas, Jennifer’s newest themed show, which features her spot on, chill-inducing renditions of classics by Diva’s such as her all-time favorite, Barbra Streisand, along with Whitney Houston, Karen Carpenter, Dolly Parton, Celine Dion, Vicki Carr and Adele, has led to a natural demand for a recording that documents her incredible renditions of these artists’ most renowned hits. It’s an extraordinary multi-decade journey that flows from “Close To You” through “Skyfall”. Streisand’s songs were easy foundational choices for Jennifer. After developing a love for Dolly Parton’s personality she added this Diva to her line-up along with the often-overlooked catalog of Vicki Carr, whose songs: “It Must Be Him” and “With Pen in Hand” resonated so powerfully with her that she included them in her show. “The most wonderful part of what I do is that I now sing for thousands of people those songs that made a huge impact on my life and my musical development as a young girl,” says Jennifer, who is also developing as a songwriter in her own right, having written two songs and currently working on a third. “A great song is one that takes you somewhere beyond yourself and has the ability to pull deep emotion out of you in a way nothing else can”. While the Fort Myers, Florida, based vocalist has performed most of her live shows in the Sunshine State, the depth and adaptability of her performances – and her fresh interactions with her audiences - ensure to please any audience around the world. 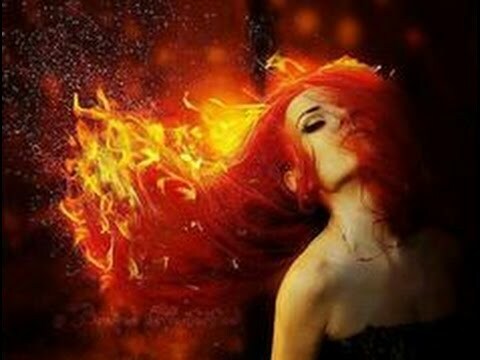 Over the past few years, while playing more than 30 gigs per month, she has booked hundreds of shows, including corporate events, country clubs, networking events, dinner dances, weddings, receptions, galas, fundraisers, convention entertainment, private parties, holiday gatherings and themed events. Among her many high profile performances are those at the Fort Myers Italian Festival, the Korean War Veteran’s Annual Conference in Orlando, FL, the Annual Proton Therapy Fund Raiser for Shands Hospital and singing the National Anthem multiple times for The Miracle’s Baseball Team, Boston Red Sox, Minnesota Twins, as well as the Tampa Bay Rays, in addition to performing it for multiple Everblades Hockey and Championship games. The 14 track CD Dynamic Divas gives it’s listeners a wonderful introduction to an extraordinary singer. Her power and versatility follows perfectly in the footsteps of the wide range of vocalists she covers and allows her voice and emotion center stage. In addition to the two Barbra Streisand classics, she pays homage to Whitney Houston with “I Will Always Love You” and “One Moment in Time”; Karen Carpenter with “Close To You” and “Masquerade”; Celine Dion with “My Heart Will Go On” and “The Power of Love”; and Adele with “Skyfall” and “Set Fire To the Rain.” It’s interesting to note that Jennifer only began tapping into the genius of Dolly Parton after listening to her audio book. In light of that, the inclusion of the Dolly classics “Little Sparrow” and “Here You Come Again” is extra fascinating. Perhaps the nicest surprises are the great Vicki Carr songs that were also a later discovery and not the songs people usually think of when they think of Divas. For those who see Jennifer’s show, this recording is the ultimate souvenir. For new listeners, it’s an open door to an emerging new talent. Future Recordings will be available for "I Did it....Broadway", "Timeless Hits", "Holiday Extravaganza" and "A Patriotic Tribute to America"
The development of Jennifer’s unique style is the result of a lifetime of musical influence. Growing up in a talented musical family meant that Jennifer, a native of Bartow, Florida, was always surrounded by different forms of music. Both parents had musical and performance backgrounds, along with an extensive list of both immediate family and relatives with impressive professional careers in the entertainment industry, which helped expose her to a wealth of music as a child and impacted her development as a vocalist and performer. After moving to Fort Myers, FL, Jennifer joined a group as their lead female singer. The repertoire of that group, which sang everything from Elvis and Sinatra to all the great female divas, became a springboard for Jennifer becoming a solo performer. I work with a professional sound and light crew. Contract and deposit are required to hold date scheduled. Depends on the time frame and type of show.